Howe of Torbeg Glamping offers unique accommodation in an excellent location in the heart of Royal Deeside and the Cairngorms National Park. Come and stay in one of our 4 wooden Glamping Pods, surrounded by open farmland and birch woodlands! 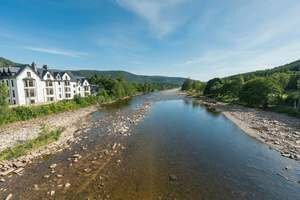 Guests can access great walks and beautiful Scottish countryside straight from our pods, whilst being only 5 miles from the picturesque village of Ballater with its shops, cafes and restaurants. Beautiful inside and out, each pod has comfy futon beds, which can be configured as Twin or Double for sleeping. Our unique pods are fully insulated, with a heater should you need it for colder nights. Outside each pod find a Kadai fire bowl for BBQs and nights under the stars, as well as a small deck area and picnic bench. Our Luxe Pod is slightly bigger than our other pods, and has a super snuggly built in double bed. Perfect for a romantic getaway - or for a family looking for a bit more room as this pod can accommodate 2 adults + 2 younger children. The Wash House is our fully heated shower block, with lots of lovely free hot water on demand. Two covered outside sinks are available for washing up, also with free hot water. Although a small site, we have a shared grassy area, perfect for communal eating, games or blanket lounging on sunny days and enjoying the stunning river and Glen views. 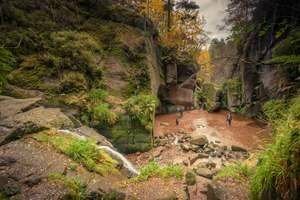 Perfectly located in the Cairngorms countryside - a fantastic base for exploring Deeside and the Cairngorms, whether you are hiking, biking, sightseeing...or just chilling out and enjoying the views. 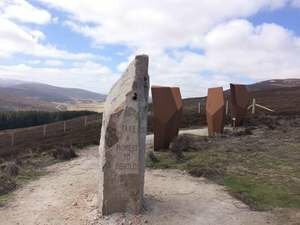 Situated on the A939, Howe of Torbeg is also part of the Snow Roads, a 90 mile route which traverses the highest public road in Britain, taking you through some of the most outstanding landscapes in the Eastern Cairngorms. The Snow Roads are slow roads. Why not take your time, and spend a night with us along the way!